Last call for white lights! If you happen to have any white stringed white lights that we could borrow, we would love to use it to make the studio look festive for Friday night’s Sip and Stroll. We will be decorating tomorrow (Thursday), so if you would be able to drop them off sometime tomorrow, we would appreciate your contribution. If you put masking tape with your name on the lights, we will be sure to return it once the holiday season is over. 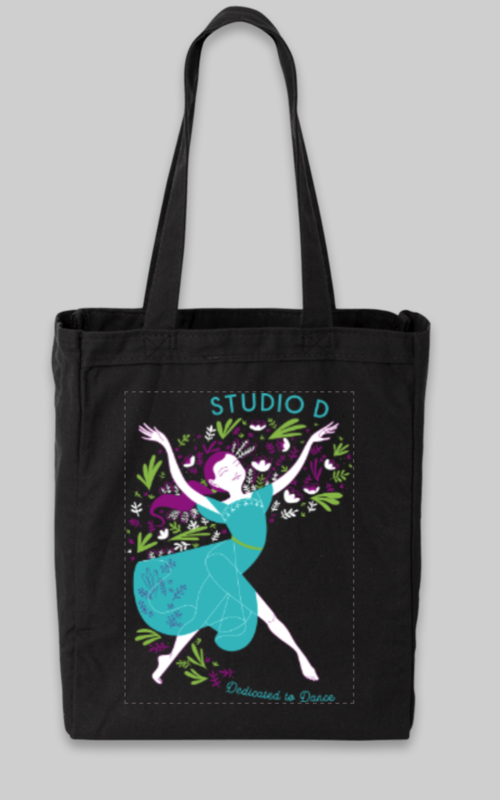 Also, we have had several orders for the beautiful posters and tote bags, but we still have some available if you would like to order one for your dancer. We should be getting them in around December 13th. Attached is a photo of the tote bag.